The Nevada rock band, The Killers, released a powerful new single, “Land of the Free” on Jan. 14, featuring a music video by Award-winning director Spike Lee. The song’s undisguised political message is that the United States, also known as the “land of the free” isn’t living up to its nickname anymore. Brandon Flowers, the lyricist and lead vocalist, tackles gun violence, mass incarceration, racial discrimination and the building of the border wall. The video, made up of footage of life at the U.S. Mexico border, gives us a glimpse into what the humanitarian crisis happening there looks like. The track coheres well with the video, and together, they produce a heart-wrenching and beautiful experience. Flowers was inspired to make the song in 2012, after the Sandy Hook shooting. In the years after that, he became grieved with mass shootings and racial injustice, so he decided to express his feelings about America into a song. This isn’t the first time that Flowers has been political; he performed at the National Clean Energy Summit for Obama in 2015. In 2017, he wrote a letter opposing development on a Nevada conservation area. But, this is the first time he has made such a strong political statement. Flowers’s wish is that the song will give hope to the many downtrodden people of the U.S. and Mexico. The song’s lyrics are poignant and straightforward, with lines like “We got more people locked up than the rest of the world,” and “We got a problem with guns.” The lyrics flow nicely together and their meanings are difficult to misconstrue. The song begins with gentle piano and is joined by gospel choir, electric guitar and drums (played by The Killers drummer Ronnie Vannucci). The Killers guitarist Dave Keuning and bassist Mark Stoermer don’t appear in this song, as they are on hiatus from the band. Flowers’s voice brings strong emotion to each line that he writes. He manages to make the song feel hopeful and melancholy at the same time. In his tone, you can tell that he still believes in the land of the free, just that we aren’t there yet. The composition of the song is fitting for the lyrics. It’s the perfect chord progression for a song that is both critical of our current state of affairs but still optimistic. The happy tone becomes melancholy, and then happy again, just as our fight for a better America and our pursuit of happiness doesn’t end in hopelessness—no matter how disappointed we get. Above all, this song is inspiring. Spike Lee’s visuals are fitting for the music, but not for most of the lyrics. The only visuals we see are from Tijuana, whereas most of the lyrics are about problems within the United States. The video would have been better with footage relating to the other problems, but that’s a minor qualm. Overall, the video is well-cut and matches the pace of the music very well. When the music is slow, the migrants are trudging on the road to Tijuana. When the music is fast, the migrants are running from the shots of U.S. officers. During the chorus, we see the migrant families close-up as they look into the camera. It feels almost like you’re looking them in the eye and for a split second, you get a glimpse into their lives. “Land of the Free” is a piece of art and a great protest song. It gives emotion and soul to the headlines that we’re bombarded with. Being overtly political, it’s unlike most songs we hear on the radio and the subject matter makes it something that isn’t suited for listening to on repeat. Though it isn’t something I’d go out of my way to listen to often, it’s something that everyone should hear at least once. 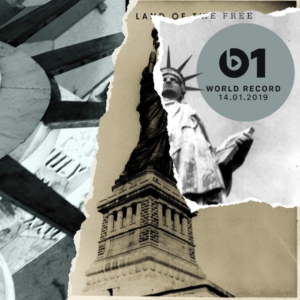 Flowers says that “Land of the Free” is probably a one-time music release for 2019, but The Killers are preparing something big for early 2020.